The 2018 World Car of the Year is here. It’s packed with Level 2 autonomous driving capabilities, a 235PS 2.0-litre diesel engine, and features rivaling many luxury sedans. And being a Volvo, it’s safer than a padded cell. 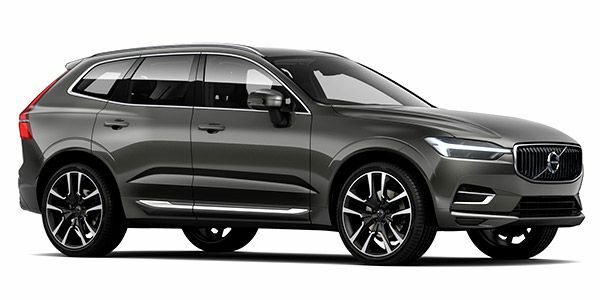 Localisation of the XC60 is scheduled to start in September 2018 and you can expect another variant added to the model range soon as well. Volvo XC60 prices start at Rs. To Be Announced (Ex-Showroom). Volvo XC60 is available in 2 variants and 4 colours. The claimed ARAI mileage for the Volvo XC60 diesel is 11 kmpl. Q. Which is the best 5 seater suv car? Q. F pace or xc60 ? which one is your pick ? Volvo finally has a good engine and gearbox to go with the smart styling of the XC60. In its R-Design trim, the XC60 is a more involving drive and comes with a long list of pampering and safety equipment too. So should you go for it? If you don’t need all-wheel drive, which for a road biased SUV is not a top priority, the FWD XC60 will impress you with its breadth of abilities. The design is classy and quite typical of what you’d expect an urban crossover SUV to look like, and despite having something called “Thor’s Hammer” daytime running lamps, there’s absolutely nothing that’s shouty or over the top. The interiors are a nice mix of tan Nappa leather upholstery, a massive panoramic sunroof and nice minimalistic central dash and infotainment cluster. The two standout features have to be those beautiful massaging driver and passenger seats and the 15-speaker Bowers & Wilkins audio system. There is quite literally nothing on our roads that beats this combination in any segment except another Volvo. The Volvo XC60 is powered by a 2.0-litre turbocharged diesel that makes 235PS and 480Nm of torque. There are three drive modes to choose from: Eco, comfort and Dynamic. The throttle response is best in Dynamic, with the engine eagerly responding to inputs, but its performance is still leisurely. The sprint to 100kmph is achieved in 8.54s, which is good but not the sportiest. In Comfort, the engine response is smoothed out and makes for great commuting in the city while Eco is just a little boring. It does manage to sip fuel at a pretty miserly rate, and we managed to eke out 15.10kmpl on the highway and 11.42kmpl in the city. Audi Q5: Alphabetically, the first competitor for the XC60 is the Audi Q5 with its famed quattro all-wheel drive system and great all-round likeability. The Q5 is the Malcolm in the Middle in the Q lineup, and with the new 2018 model update Audi says it’s the perfect Q.
BMW X3: The BMW X3 is the newest kid on the block. It packs an updated features list that’s ready to take on the competition. Lexus NX300: The NX300h is a geek’s paradise with its flashy bodywork, hybrid drivetrain, and quirky interiors with a million buttons. Just the fact that a car that makes 197PS and houses a 2.5-litre petrol motor can give over 18kmpl makes it interesting to say the least. The big miss for most luxury car buyers might just be the badge on the nose. And that’s a shame. Sure, there aren’t four rings, a three-pointed star or a propellor here; but ask yourself, do you really need that badge? Because what you’ve got here is a pukka posh mid-size SUV that gets almost everything right. Yes, it isn’t as involving to drive and space at the rear isn’t exactly class-leading, but those are trade-offs you can live with. So, in case you’re on the fence about buying one, here’s the simple answer - go for it. Because, at Rs 55.9 lakh (ex-showroom), it doesn’t really get much better than the Volvo XC60.